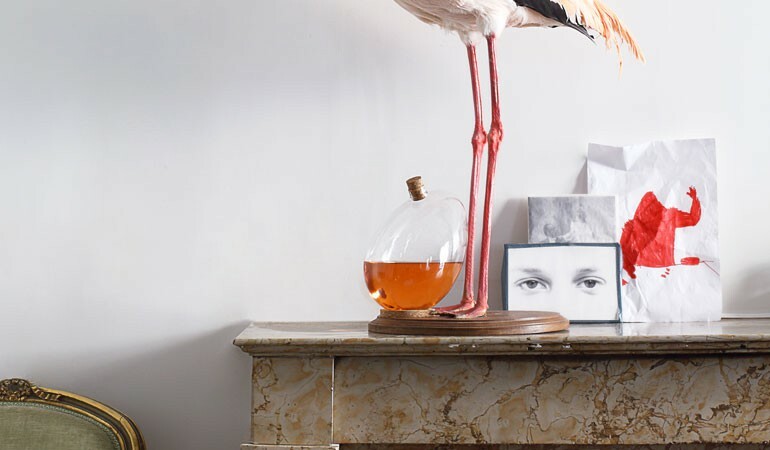 Decanters may not be your go-to feature for a dining room accessory (yes they are), but they give the perfect balance between art and function for you and your guests, without distracting from the food and drink on the table. Here are some examples of unusual decanters that show you why they’re worth spending your money on. London designer Sebastian Bergne created EGG for the French online store designerbox. It can stand at any angle, making it a fun play with physics and an apt release in the run-up to Easter. 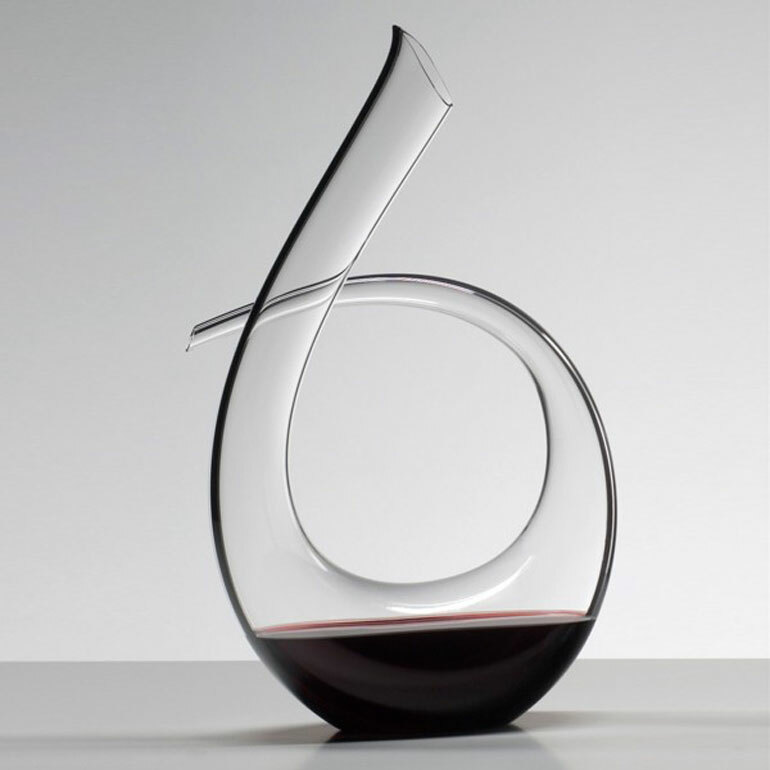 One of the best things about this decanter for me, apart from the fantastic design, is how affordable it is. 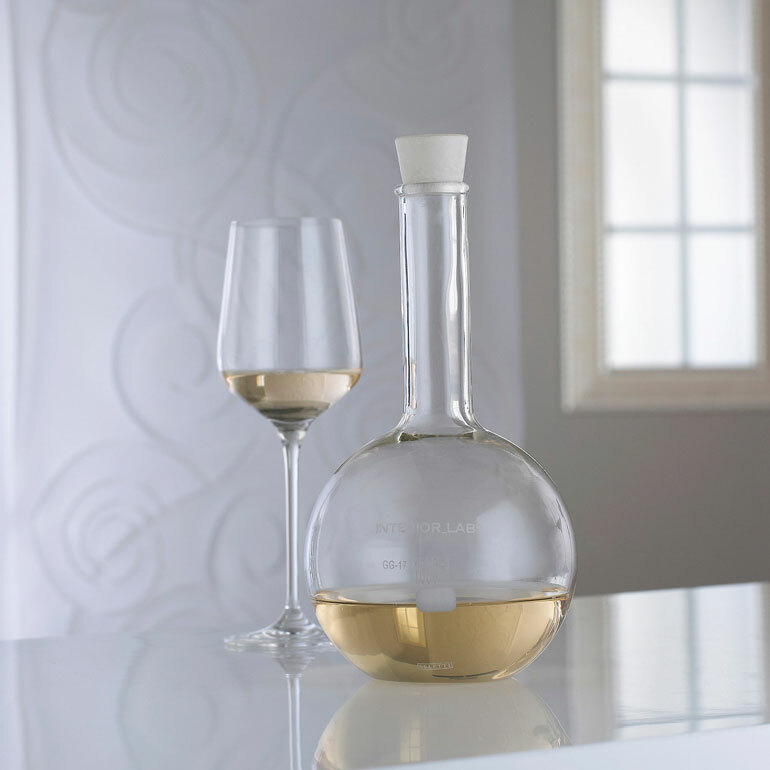 Designer decanters can often cost a few hundred of whatever currency you’re using, but this one is a moderate €59. This is another affordable option, at £49 for those who don’t want to overspend. 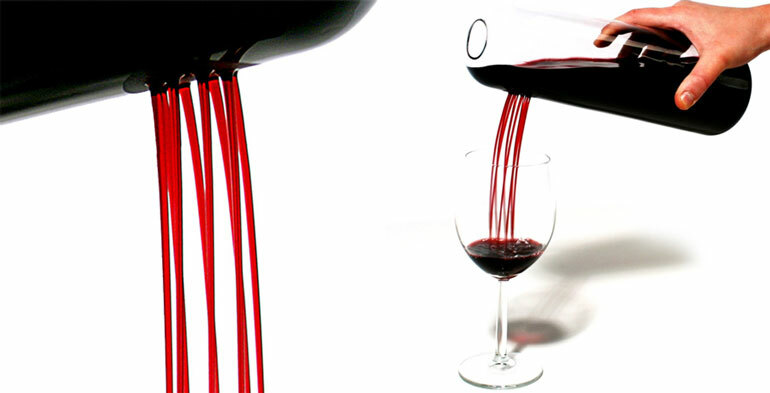 What is essentially a very plain carafe design is made amazing by its unique pouring system which aerates the wine, but, more importantly, looks really cool when pouring. We’ve had a few affordable options, so let’s go ridiculous for a while. The Grand Coeur (Big Heart) is 3,000 Euros and only 8 were made, along with four artists’ proofs. If we can forgive the price, which we can’t, but pretend we can, this is one of the most impressive decanters ever made. 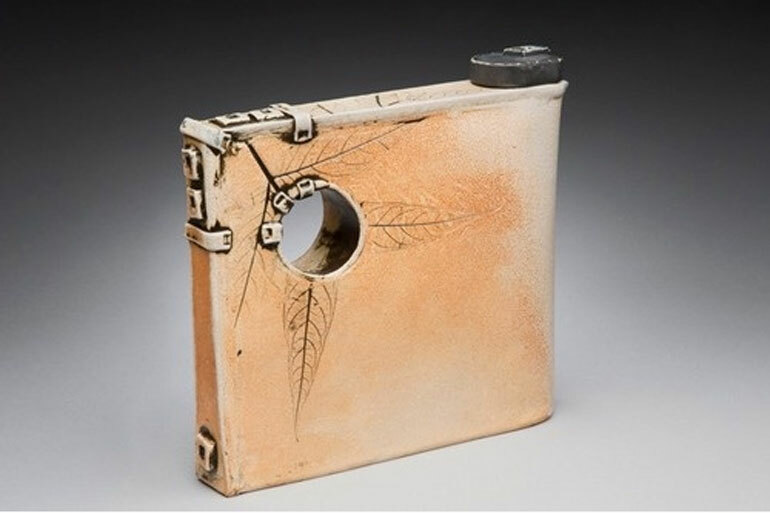 See other decanters from the same artist. These decanters are free blown, which means the glass blower doesn’t use the aide of a mold. 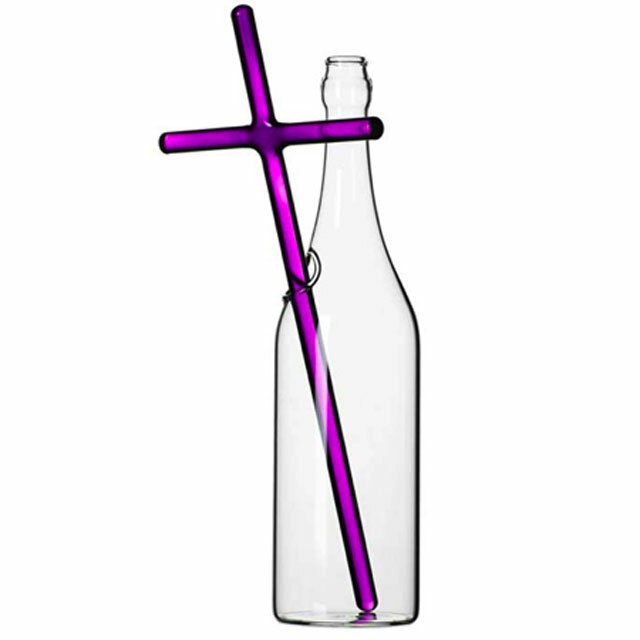 For this reason, every decanter will be slightly unique, and they describe with some pride that the length of the decanter depends on the length of the glass blower’s arm. The difficulty in the craft justifies the slightly steep price of £495, and can be bought from the Riedel official website. 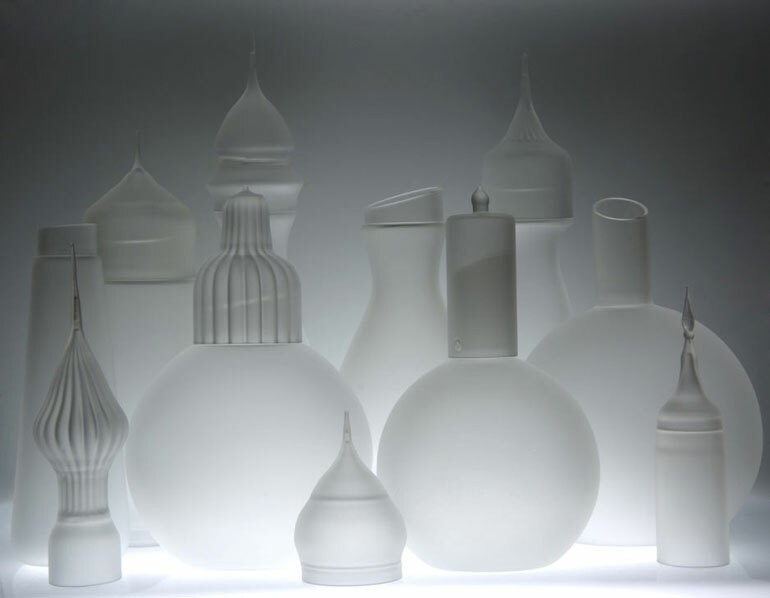 This is a joint project from one of my favourite glass designers (they also do other things), Kacper Hamilton and Ezgi Turksoy. The forms of the found pieces have a strong visual reference of an architectural landscape, which reminded the designers of Istanbul with its tall Minarets towering above the rest of the city. 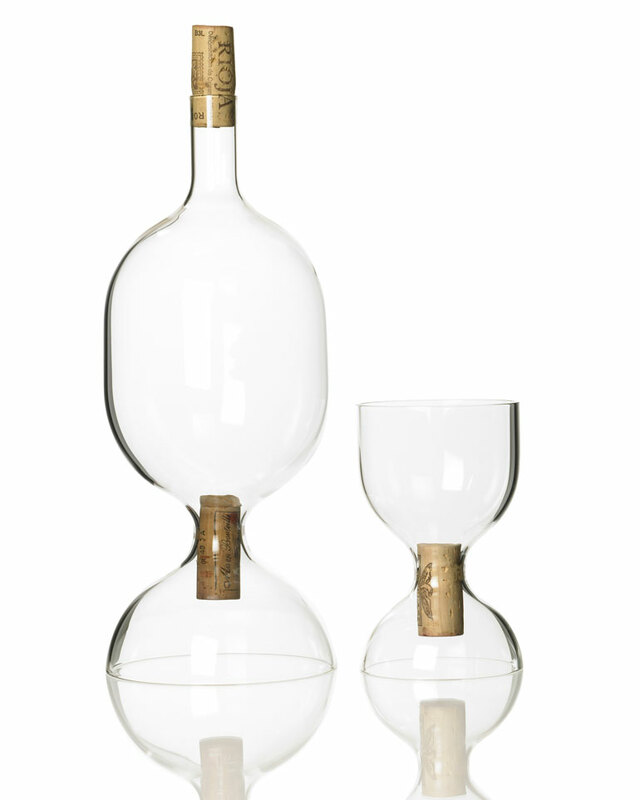 This collection is described by Dezeen as a ‘collection of glass objects used for drinking wine’ rather than your plain old ‘decanters,’ so, in a way, I have a lot of respect for this collection. In the occasions where your table or menu is wide enough to have red and white available, this is a genius solution to what we can now look back and see has been a problem. 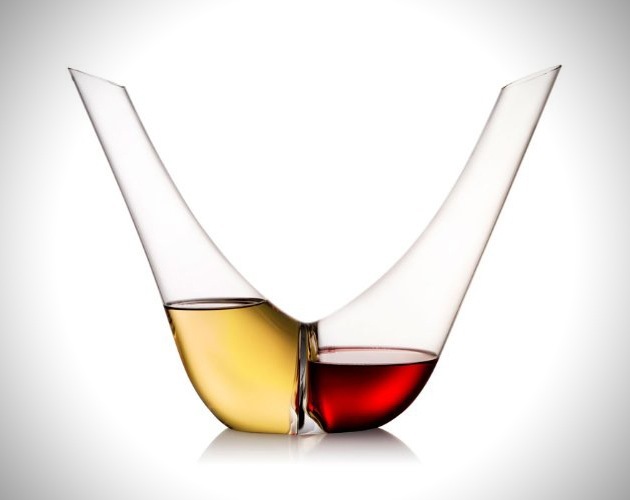 The decanters don’t detach, creating an odd sense of balance when using and looking at the vessel. Found on Pinterest and featured because this list just wasn’t roman-looking enough without it. Something which, I’m sure, no one would be happy about. Breaking Bad has infected every part of our lives. This wasn’t inspired by the series, but I can think of a number of individuals who can and will make the connection. Does anyone have any blue wine? 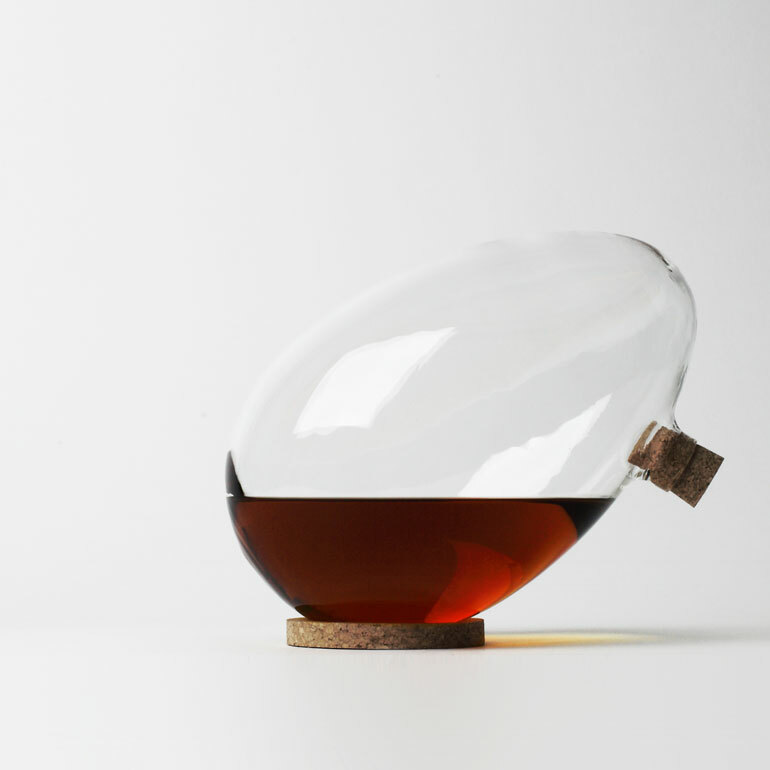 The last decanter, and another by Sebastian Bergne. The bottom of the decanter you see here is the filling funnel and, once filled, the decanter is flipped over to be poured, using the corks to prevent a wine catastrophe. 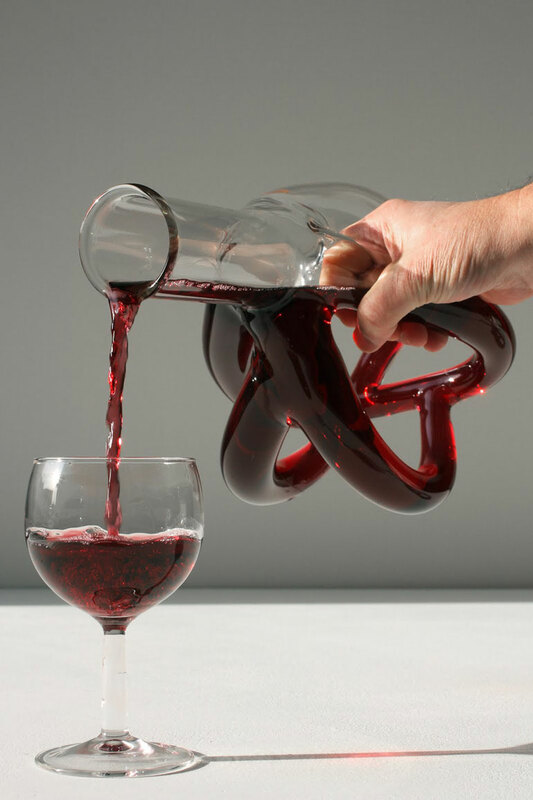 The idea of this one-way system for the wine makes it a design that hovers somewhere above the ordinary.